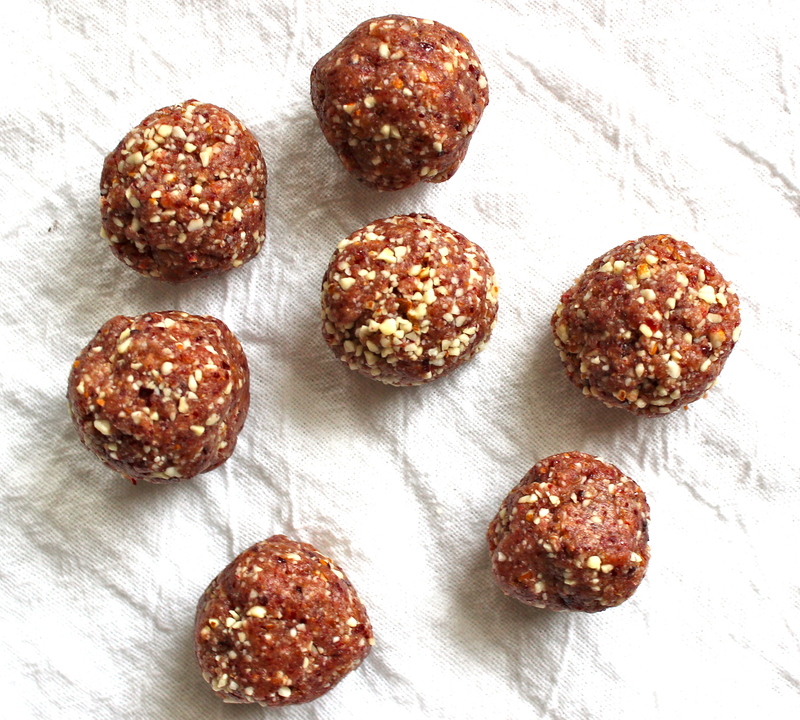 The great thing is you can be really flexible with ingredients with these balls. You can add spices, different nuts and seeds, oatmeal or raw cacao too. The possibilities are endless. This recipe makes about 15 balls which should be enough for 1 person for about 3-5 days depending on how hungry you are! Extra ingredients to add in if you want: cinnamon, ginger, cayenne, chia seeds, vanilla or chocolate protein powder, oatmeal, raw cacao, oatmeal, flax seeds. 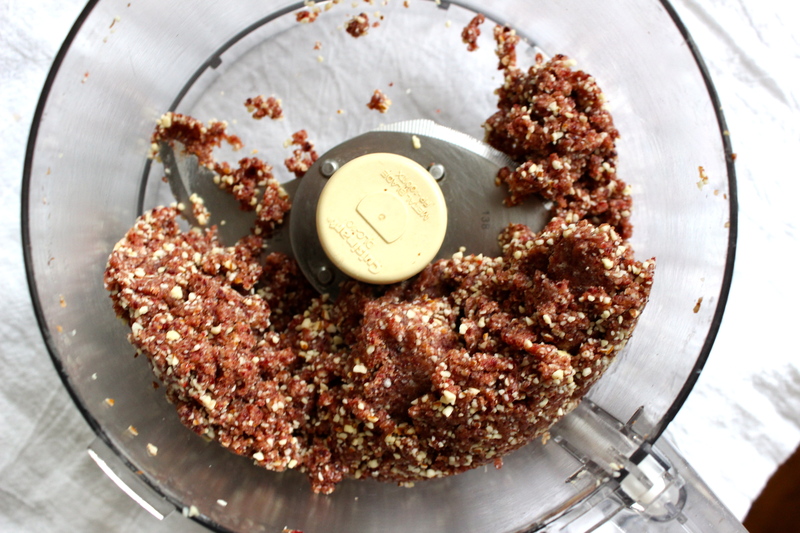 Put all the ingredients together in a food processor. Process for about 30 seconds. Scrape down the sides. Process for a further 1-2 minutes until the mixture gets sticky and forms a ball in the food processor. Remove the mixture and form small balls, about 1 inch big, with your fingers. Place on a plate and put in the fridge. Eat 2-3 for a snack.